Back in 2015, AutoNation took one of its first steps in its far-reaching brand extension strategy: launching AutoNation-branded F&I products. Jackson, 69, has said the strategy will keep the largest U.S. dealership group profitable even as new-vehicle margins tighten. The initiative also includes pasting the AutoNation name across all of its nonluxury stores and launching AutoNation auctions, standalone used-car stores and collision centers, and branded parts and accessories. At $1,789 on a same-store basis in the second quarter, AutoNation's F&I profit per vehicle was highest among the public new-vehicle dealership groups. Profit per vehicle climbed 6.8 percent from the year earlier, driven by sales of the branded products, specifically the maintenance package and vehicle service contract, Jackson said at the time. 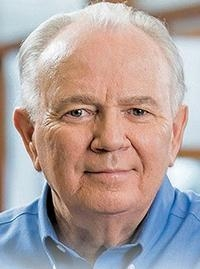 More than 90 percent of customers who bought a vehicle from the retailer's nonluxury stores, where the company offers AutoNation-branded products, choose them over a similar product from the automaker, Jackson said. "The improvement is primarily driven by more customers choosing to get a product from us rather than us getting more from each customer that we already have," he said. "Every quarter that goes by, a larger percentage of customers choose to take the AutoNation maintenance and service contracts. It's valued price. They trust the brand, and they choose it."